In the age of constant knowledge via computer accessibility, the effort to write a book on adjuvant chemotherapy may seem almost futile. However, the information seen online is usually fragmented, without context, and often somewhat unreliable. 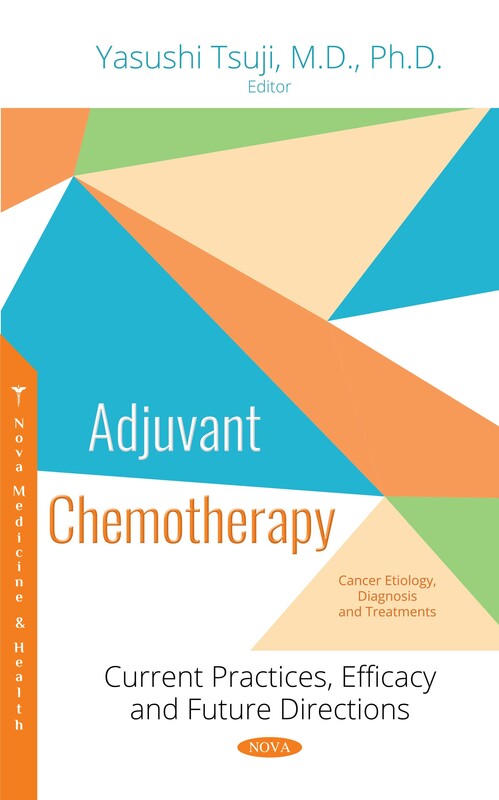 This book aims to provide a handy and reliable reference to better understand both the current situation and the future directions in the field of adjuvant chemotherapy. Its ten chapters covering major cancers were written by prominent researchers with decades of experience in clinical settings as well as in related fields of research. Owing mostly to the development of novel cancer drugs, cytotoxic agents, targeting agents and immune check point inhibitors, the prognosis of all cancers has markedly improved. On the other hand, determining the best way to use these drugs is becoming more and more complicated, and most patients after recurrence are still unlikely to be cured. Carefully planned and meticulously executed surgery, appropriate adjuvant chemotherapy and radiotherapy still play major roles in treatment, and they can significantly increase cure rates, especially in the advanced stages. This book contains a wealth of the latest international data and detailed information assist professionals in making the best possible decisions regarding specific and patient-oriented treatments. From the general introduction to the principles of adjuvant chemotherapy in chapter one to all the details in the chapters covering specific cancers, we hope this book will inspire veterans in the field with new ideas and help to guide and educate young doctors and researchers, all towards the ultimate goal of providing better care for our patients.